Floyd Mayweather's Birthday Celebration With 50 Cent at Dream Nightclub, Miami Beach. 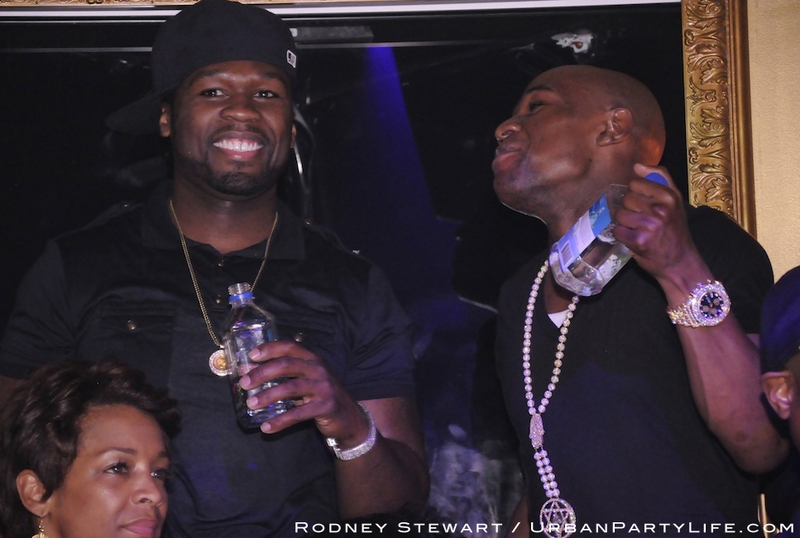 Floyd Mayweather celebrated his birthday at Dream Nightclub along with his close friend 50 Cent. The party was absolutely insane, packed wall to wall. The club presented Mayweather with a beautiful title belt cake that had $100 dollar bills all over it. Click here to check out UrbanPartyLife.com’s exclusive gallery of the event. « Mya and Uncle Luke Host Headliner Friday’s Spring Break Party at Play, Miami Beach.